We invite qualified applicants to participate in a challenging, invigorating, supportive, and innovative faculty development opportunity to create new curricular materials that enhance the teaching and learning of undergraduate differential equations in a modeling-first approach. The workshop will begin with an opening event on Sunday evening, 15 July 2018 and end with campus departure on Saturday morning, 21 July 2018. Those selected to participate will be “Differential Equations Model And Resource Creators,” or DEMARC Fellows. During the week-long workshop, DEMARC Fellows will create application modules and related documentation which they will submit to the peer-reviewed repository at SIMIODE. This effort is part of a SIMIODE project funded by the National Science Foundation. 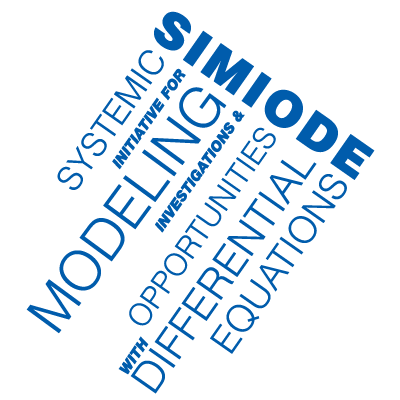 The National Science Foundation is supporting SIMIODE’s mission to support faculty in using modeling and application to motivate and teach differential equations in context. This DEMARC Workshop enables participants to engage with colleagues in contributing their time and creative talents to provide meaningful modeling materials for faculty to use with their students. Participation in this workshop is a professional contribution and a chance to be creative. That said, we offer reimbursement of travel expenses, child care compensation as needed, and additional stipends to reward productivity. The DEMARC Workshop emphasizes mathematical modeling as central to the teaching and learning of undergraduate differential equations. Build on existing strengths in modeling scenario creation and documentation. Engage in a collaborative mathematical community during the workshop and beyond. Contribute to the growing body of curricular materials in support of other teachers. Help shape a future for teaching differential equations in context. 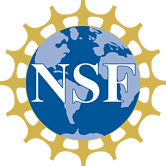 Applicants will produce Modeling Scenarios, modules, applications, or projects to motivate and introduce or reinforce a differential equations concept to students, or Technique Narratives, units which introduce traditional techniques or theory of differential equations with a modeling flavor supporting the methods offered. These can be seen in numbers at www.simiode.org. Since the purpose of the workshop is to foster creativity and construction of teaching materials there will be plenty of private time to write. This is key to getting materials finished. We gave people time and space away from distractions to write. During the first Monday afternoon of the workshop resource personnel from cognate areas such as social, physical, and life sciences, and engineering will be available for consultation and clarifications in purpose and content. Participants are expected to participate in sharing of ideas, of progress, and of completion of their work through small discussion and peer review efforts. We will house the workshop in Manhattan College’s very modern open space classroom environment and offer many quiet places and library areas, in addition to private dorm rooms – all equipped with WiFi in the comfort of air-conditioning – for the creative muses to work. Additionally, we will come together to share and review materials, benefitting from peer feedback. Faculty are expected to familiarize themselves with the resources already available in SIMIODE and to work within a reasonable framework in designing their course materials. Focused sessions on topics of interest can be arranged, e.g., working with STEM colleagues, sharing personal and student experiences, institutional opportunities for change, developing data material. There will be a break Wednesday afternoon and evening to permit participants to go “on the town” in New York City to experience the culture and flavor of this rich city tapestry. Manhattan College is situated up the hill from the end of the subway line which goes directly into Manhattan and all other parts of the city. Group or individual activities are possible, e.g., Wednesday is matinee performance time in all Broadway theater events. Also, consider the many museums of the city (Metropolitan Museum of Art, Museum of Natural History), ferry rides in the harbor, featured places – Statue of Liberty, Empire State Building, World Trade Tower Memorial, Times Square at night on the way back to campus, and so much more. Each room, while a private room, has a second bed. Thus, for $48/night a participant might have a guest who is not a participant, but wishes to visit the area. We are interested in good module writers who want to create more and better student activities for use by other faculty. Participants must agree to participate fully and to complete high quality materials in a timely fashion. Accepted participants from US academic institutions will have their transportation paid for the workshop, receive room and board in a single air-conditioned room on campus. It is expected that faculty will devote their time solely to the workshop goals during this period, e.g., not teaching online course at the same time. Application deadline is 1 May 2018, or until all slots are filled. Applications must be submitted to Director@SIMIODE.org and will be reviewed as they are received. Invitations will be issued no later than 1 June 2018. Applicants should write a convincing narrative on their school’s stationery and send the resulting pdf along with a current Curriculum Vita to Director@simiode.org. Supplemental material may be included, e.g., authored or used projects, papers related to modeling activities. The application should include the beginnings of at least one Modeling Scenario the applicant wants to develop further at the workshop, and a plan for what they will need to do to accomplish this, e.g., I want to investigate the insulation property of snail’s shells. I have these ideas, but need to flesh out the details. Meeting with a biologist would also help. Applicants should address how they plan to extend the prospects of modeling in differential equations through planned talks at national and/or regional meetings; leading or participating workshops for other faculty in their efforts to use modeling ; and/or submitting materials in scholarship of teaching publications. We believe that the DEMARC Workshop experience and collegial opportunities will spur participants to share the joy and possibilities of using modeling in differential equations coursework. We recognize that this opportunity will not compensate faculty per their monthly salary rates. Rather we are hoping the support we offer is sufficient to draw exceptional faculty while the experience of working in a group of dedicated peers will more than compensate.